On December 28, 1976, legislator and U.S. comptroller general Lindsay Warren died. A Washington, N.C. native, Warren became involved in Democratic politics at a young age, serving as chair of the Beaufort County Democratic Party before being elected to the state Senate in 1917. 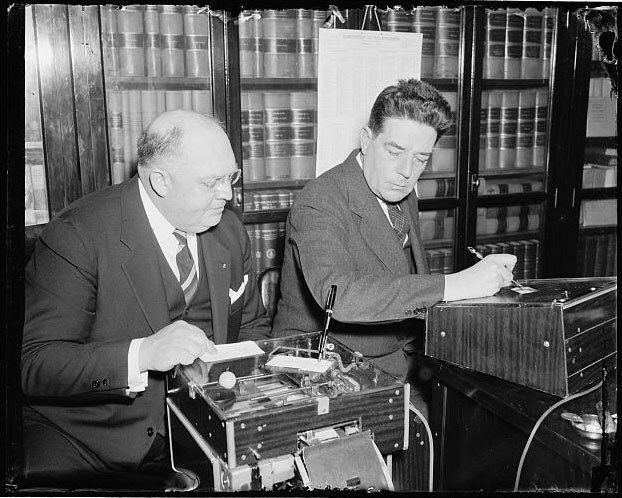 In Raleigh, Warren was closely associated with O. Max Gardner’s political machine. First elected to Congress in 1924, Warren served in that body until 1940. On Capitol Hill, he was known for his work in agriculture, conservation and government reform. Two of his signature accomplishments were securing legislative approval for the Cape Hatteras National Seashore and Wright Brothers Memorial. Warren left Congress after being appointed comptroller general of the United States, which is the head of the U.S. General Accountability Office (GAO). He transformed GAO from an agency in crisis to the strong government watchdog it remains today, before retiring to the Outer Banks in 1954. Returning to North Carolina didn’t mean the end of political involvement for Warren, though. Nearly 50 years after first serving in Raleigh, he was elected to a single term in the General Assembly in 1961. He died in 1976, and is buried in Beaufort County.